If you do an internet images search for honeymoon destinations, you will find that at least 90% of the images you find will be beach locations. While a beach getaway is the definition of relaxation for many people, there are so many other types of destinations to choose from, you might want to research some other options before you succumb to all those beautiful and relaxing destination images. Now, if you are an adventure loving couple, there are many different types of honeymoons you can choose. Your choice will depend on what type of adventures you like. Is your dream to climb Mount Fuji in Japan or is your idea of adventure exploring the Egyptian pyramids? There is one very important thing to consider when planning an adventure honeymoon, however. An adventurous honeymoon will no doubt provide you with lots of excitement. However, it may be a bit difficult to add in romance. Sleeping in a tent, sometimes with a good number of tourist in very close proximity, mosquitos or frozen body parts are not necessary great ingredients for love. Another good choice for a honeymoon destination is to visit one or more theme parks. This is a great choice for numerous reasons. First of all, you can plan your entire wedding around the theme park honeymoon and turn it into a wedding weekend (or week). 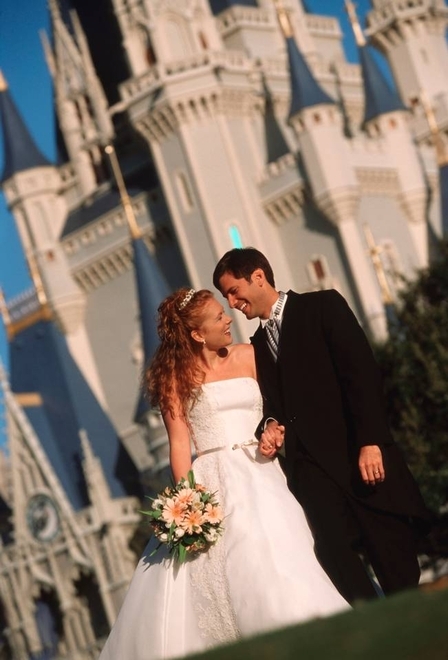 For instance, you can plan your wedding and honeymoon in Orlando, Florida which has several theme parks all in close proximity to each other. There are even several more theme parks within an hour's drive as well. If you have children, planning your honeymoon around visiting a theme park or parks is a great way to begin the bonding process. Of course, by including your children the honeymoon you may run into the problem of privacy. If this is something that concerns you, you can always check into renting a multi-room suite or even a rental home in the area. As a general rule, there are usually quite a few houses that can be rented out by the week that come completely furnished with everything you need. All you have to bring is yourself and your clothes. An upside to this type of situation is that you can save money on dining out, particularly if you are including your children. Just like wedding planning in general, choosing the destination for your honeymoon as well as making all the travel arrangements and such can be quite overwhelming. If you feel you need some help, a good resource may be our wedding planner. While we all know wedding planners are well versed in the details of wedding ceremonies and receptions, they also have experience in helping couples put together their honeymoon plans. Last, but not least, the single most important thing about choosing your honeymoon destination is to choose a location that will allow you to thoroughly enjoy yourselves and spend lots of time basking in the glow of your eternal love.